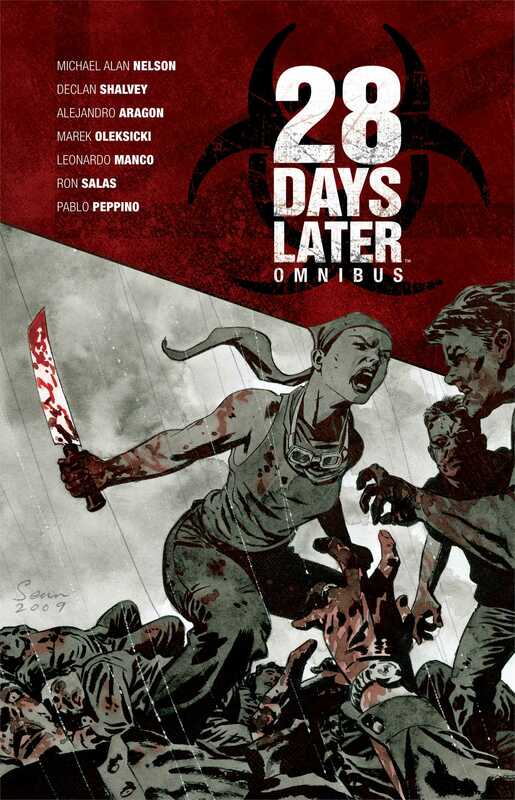 There is no escape from the horrific world of 28 DAYS LATER, the comic that plunges readers back into fray of a world overrun with the infected! The film that changed horror forever continues here! Selena and her new comrades struggle against the infected, the American presence in the UK…and themselves. Selena is a survivor but even she must give pause when the mission has her breaking into the land she fought so hard to get out of. They have no supplies. Most of their crew has been killed. They must get to London, but will they make it?